There’s a whole slew of new official pictures from Sherlock Series 3 released. YOu can see the complete gallery on PBS here. But I’ve grabbed a few faves and posted them below just because the boys look so fine. (Apparently, my prayers were answered and Dr. John Watson did not get married looking like he’d jumped in from a prom circa 1973! Mary Morstan looks lovely as well. 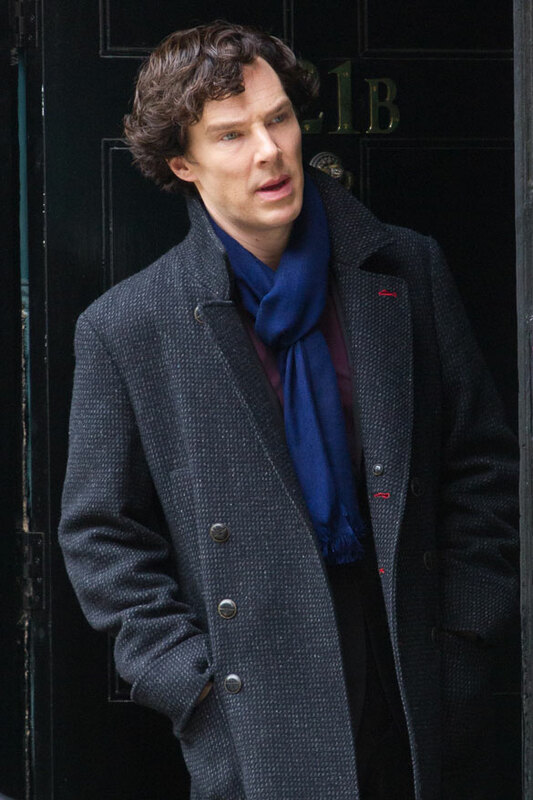 And I can hear you gasping from here when you see Sherlock…) Buzzfeed also has some new pix on their gallery (30 pictures total), if you haven’t seen them; some are behind-the-scenes location shots.